Netanyahu in media blitz says Labor could defeat him, but could the polls be fabricated? Prime Minister Binyamin Netanyahu launched a media blitz Thursday, granting interviews to Israeli television channels as well as other news sources, in a last-minute attempt to shore up support ahead of Tuesday's national elections. Netanyahu cited polls that show Likud's main rival, Labor under Yitzhak Herzog, leads over Likud by several MKs. While most of the public wants a right wing government, he said – if Labor defeats Likud, the president could task it with creating the next government with the support of the Arab MKs. However, News1 editor Yoav Yitzhak warned readers that the polls are not necessarily accurate. Netanyahu gave interviews to Channels 2 and 11. He agreed to give an interview to Channel 10, too, but his condition was that Raviv Drucker, a journalist who has been attacking him and his wife ferociously for years, not be the interviewer. Channel 10 decided to forego the interview. 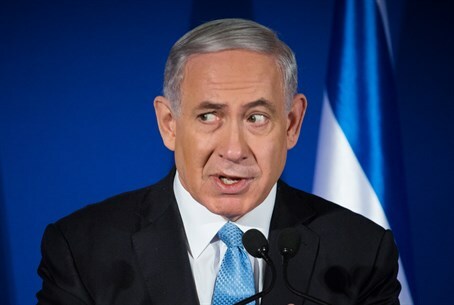 Netanyahu told Channel 2 that he would not agree to a rotation government with Labor: "I will not be a prime minister in rotation, and that should be prevented," he stated. Netanyahu also lashed out against foreign-funded elements seeking to unseat him, to force Israel into making concessions against its good. "There are vasts amounts of funds flowing from abroad, millions of dollars," he said, claiming that "European states and left wing people from outside" Israel were funding non-governmental organizations that encourage Arabs and left wing Israelis to vote. According to Netanyahu, this was "because they understand that if Tzipi and Buji reach (the premiership), they'll give everything up, and withdraw to the 1967 borders and divide Jerusalem," he said, using Herzog's nickname.